Almost immediately after my last post, Jaime got the flu and I spent a good week and a half tending to my poor little sick baby. It’s was a little overwhelming since it coincided with a return to Ohio. We had to finish packing everything we owned and moving all the furniture we left behind into storage or into crates to be shipped ahead of us to Italy. On a Monday night, after our Italian lessons ended at 5 pm, we drove back to Dayton. Yes, an 8 hour drive in the middle of the night, drowning in a sea of tissue paper (since I was also getting the flu bug). To make things worse, temperatures were pretty low (I guess it was too early to think Spring had finally arrived) so there were black ice warnings and fog that rendered us blind in the West Virginia mountains. Truthfully though, it wasn’t so bad after 2 Doubleshot Starbucks espressos and a caramel macchiato. Our coffee high made for interesting conversation. We ended up arriving at Ohio almost at 4 am, but I have to say, sleeping in our own bed almost made the drive worth it. The next day we prepared the house for the movers, organizing what was going to Italy, what was going into storage, and what was going to be thrown out. Jaime got to catch up with his bestie and a few coworkers, while I wasn’t up for much of anything with my beginning flu symptoms. Two days later, everything was gone, the house was cleaned and we closed the doors for the last time in awhile. As boring as living in Ohio sounds, (and is), it was nice to be back in our little house that I grew fond of for a few days. I was actually sad to be leaving it. Jaime, on the other hand, couldn’t have been happier. After our week in Ohio, I immediately jumped into preparations to welcome my in-laws for a weekend in Washington D.C. while also battling the flu. Despite the pressures of having everything perfect, it was so nice having some familiar faces with us, as well as a little taste of Miami with the “chicharrones” they brought us. For those of you that have lived without knowing the glorious taste of Cuban chicharrones (as not all chicharrones are created equal), let me explain what they are: chicharrones are little piece of the pork skin and fat fried to crunchy, greasy deliciousness. There’s probably an American version and I’m positive most Hispanic countries make them, but there is NOTHING like the chicharrones from a Cuban food joint in Miami called El Palacio de Los Jugos (The Juice Palace in english). It’s a place that I vastly under appreciated when I lived in Miami, and now I constantly miss. If you’re ever in Miami and want authentic, no frills, homemade style Cuban cooking, look up El Palacio de Los Jugos. 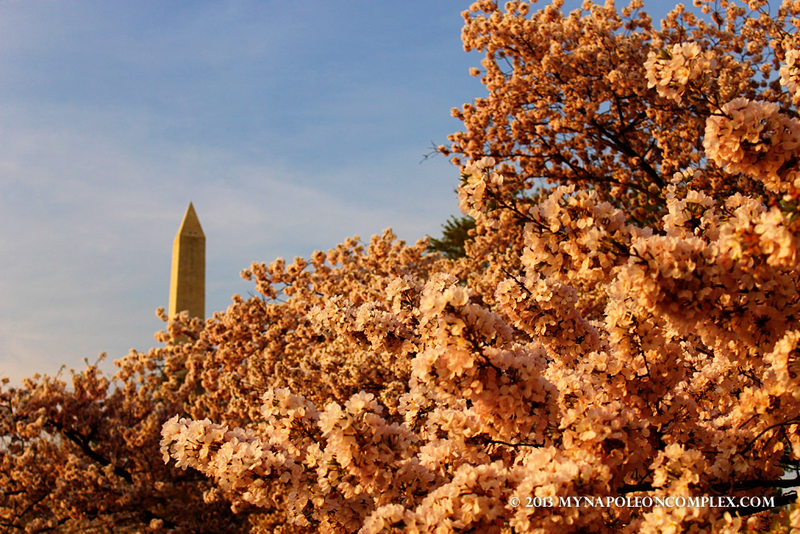 Anyway, this was also the weekend that was supposed to be the beginning of the Cherry Blossom Festival in Washington. 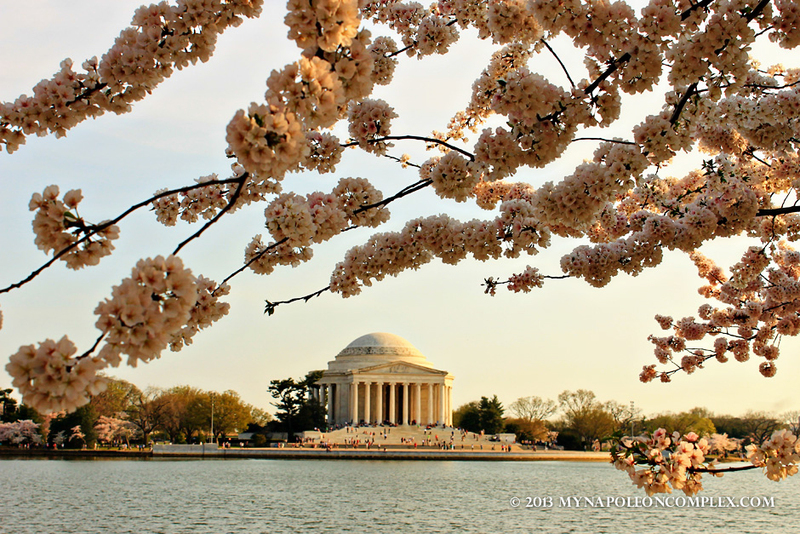 Of course, Cherry Blossom season is a D.C. staple, something that I had been dying to see. 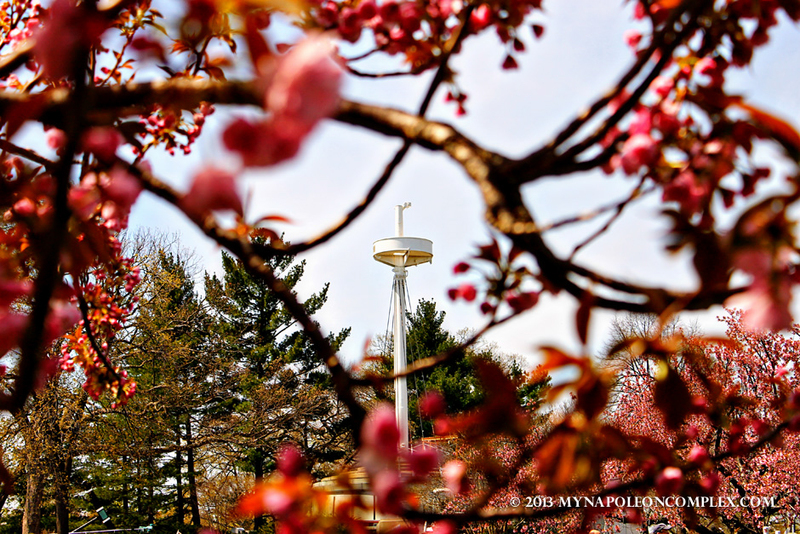 Unfortunately, that specific weekend the flowers had yet to bloom because the temperatures were still in the ungodly 40s… in late March. Jaime’s mom was a little disappointed that she didn’t get to see the flowers and I was beyond upset that at the end of March the temperatures were still in the 40s and 50s (Fahrenheit). 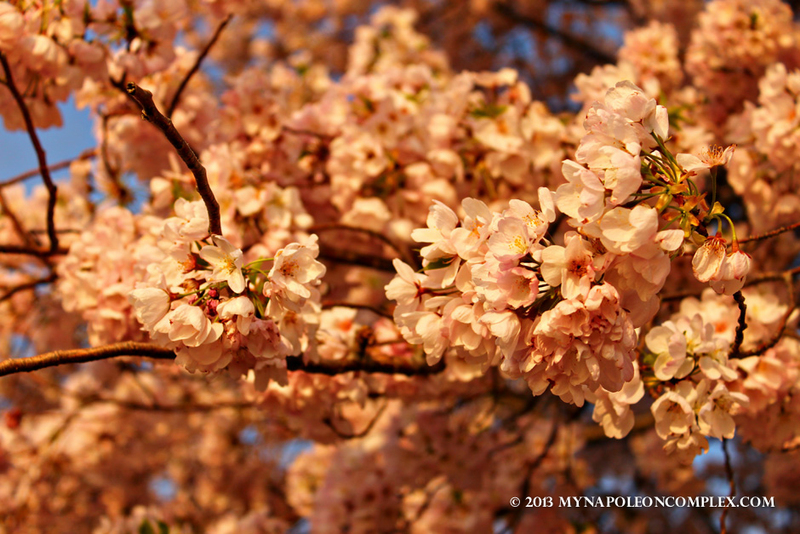 The closest we got to Cherry Blossoms that weekend. We spent the weekend sightseeing as much as we could with Jaime’s parents, revisiting some places we had already seen and seeing some new things as well. 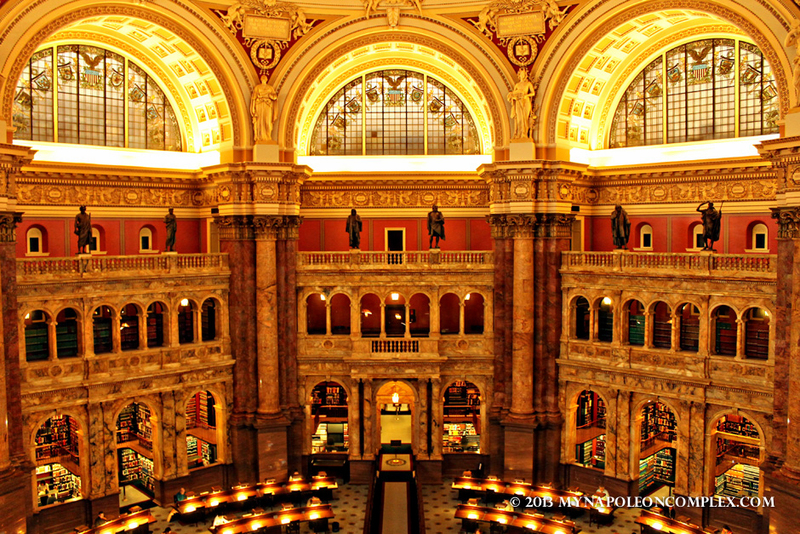 The first day they were here we went to the Library of Congress, which was absolutely beautiful. My favorite part was their display of Thomas Jefferson’s private library. 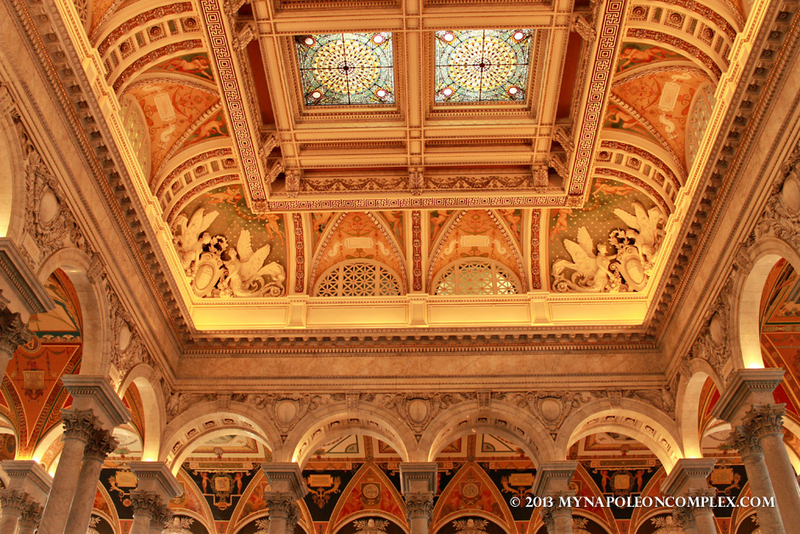 The next day, we visited the Bureau of Engraving and Printing, where they make the mullah! You can see how interesting this was for me. 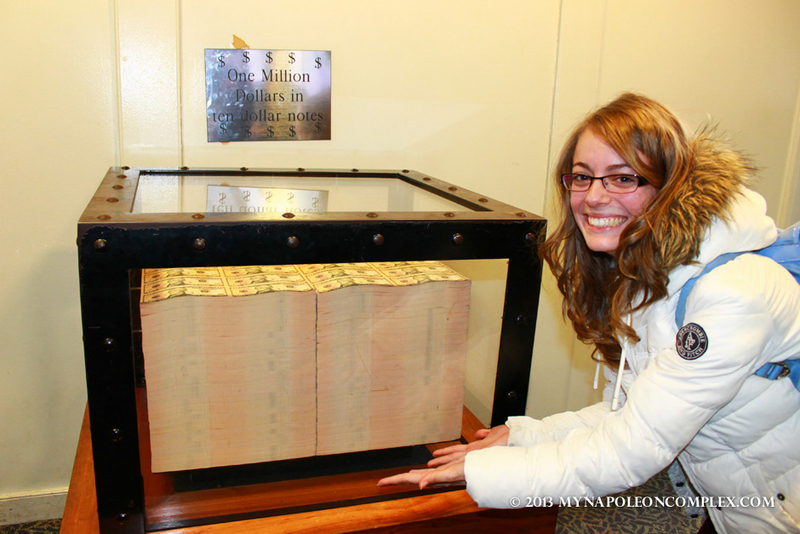 Obviously we weren’t allowed to take pictures during the actual tour but we did get take a picture of this glass case with $1 million in ten dollar bills. Superrrr cool! To visit the Bureau of Engraving and Printing, you must make the line early in the morning you want to see it (I’m talking 6 or 7 am), where they give you tickets for a specified time later in the day. It is a bit of a hassle, but it’s worth it. The closest I’ll get to $1 million. 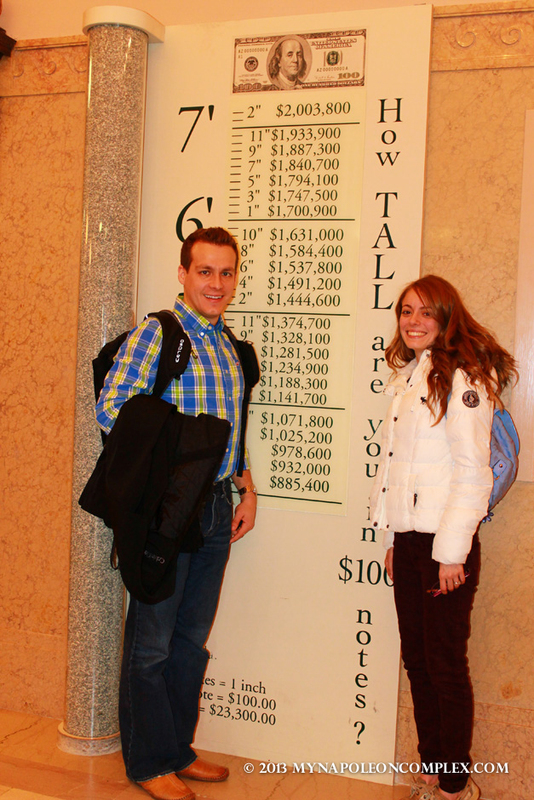 In $100 notes, my height is approximately 1.4 million dollars. 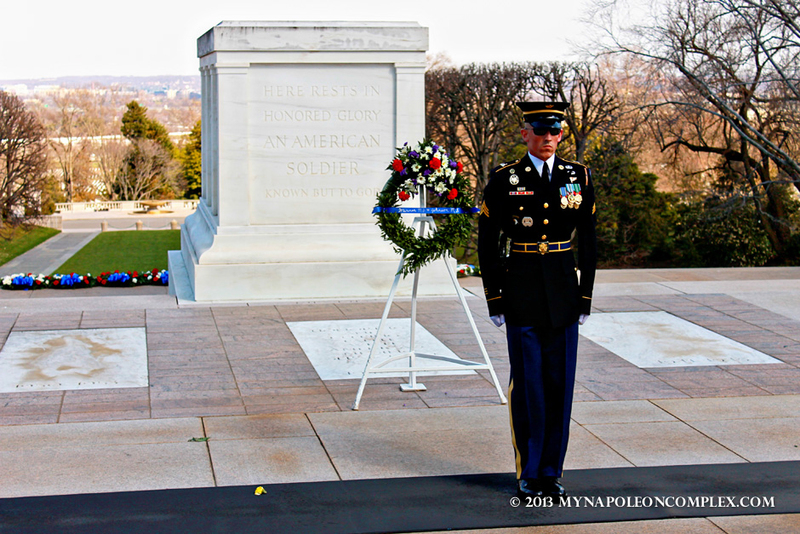 We also went to Arlington Cemetery that weekend, which is still my favorite memorial or place of national significance that we have visited so far. I had been to Arlington once before, but it was during a school trip and I was really too young to understand its significance as I do now. 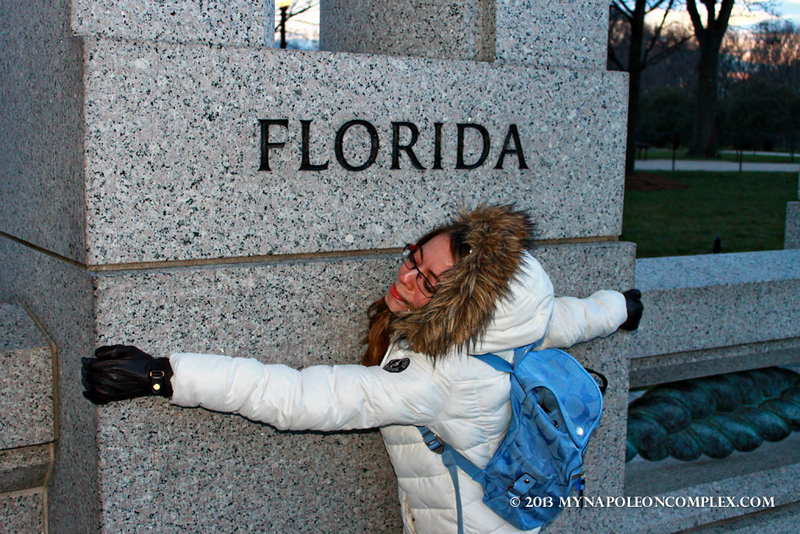 This time, we obviously visited the JFK and Jackie Kennedy Onassis gravesite, as well as witnessed a changing of the guards for the Tomb of the Unknown Soldier (actually we witnessed more than a few so that Jaime could get his pictures). In addition, we also toured the Lee House, which is interesting but nothing that you can’t miss honestly. Even if you don’t go into the Lee House, you should always make the trip up the hill anyway for some spectacular views of the city. 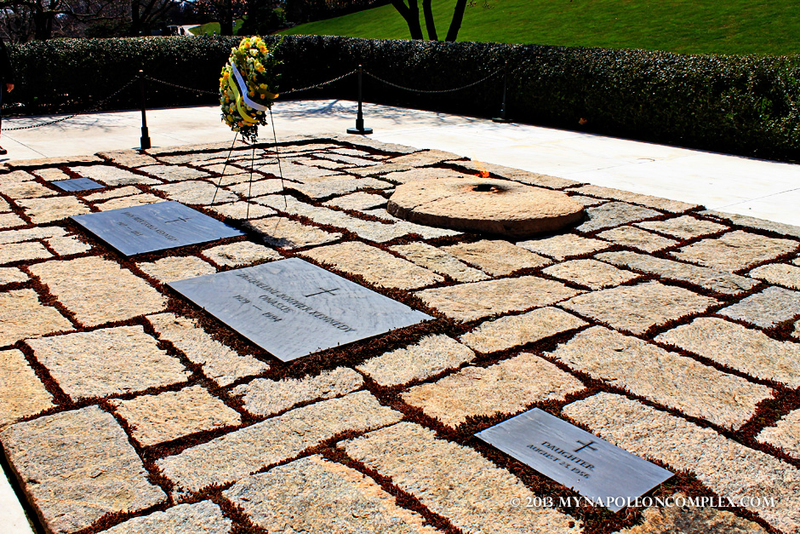 Burial site of John F. Kennedy and Jacqueline Kennedy Onassis, along with two of their children. 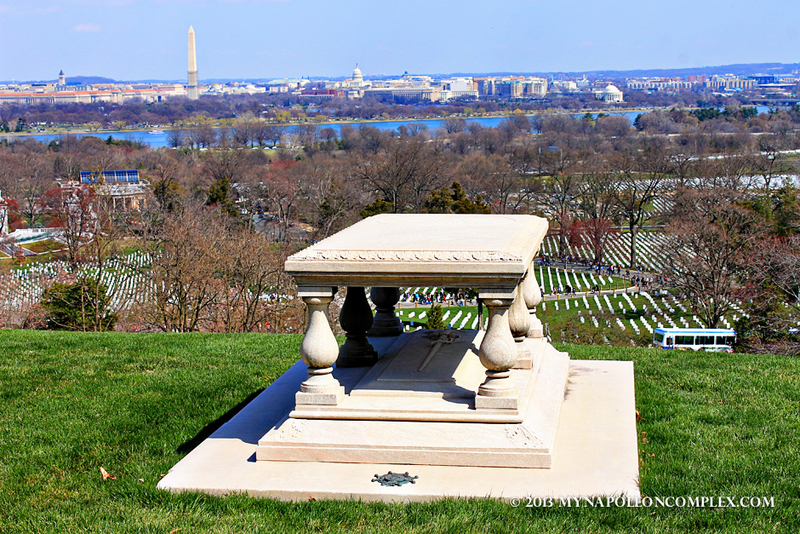 Tomb of Pierre Charles L’Enfant, famous for designing an architectural plan for the nation’s capital. The most memorable thing about this particular visit was Jaime’s sudden curiosity over the markings on the gravestones. As you may or may not know, most gravestones are marked with a symbol of the deceased’s religion. So, obviously, most gravestones were marked with a Christian cross. Even though I had noticed some Jewish gravestones, Jaime decided to go on a little adventure to find a Jewish and Muslim gravestone as well. Of course, when you’re actually looking for something, it proves difficult to find, so it wasn’t until we passed the USS Maine memorial that we found a Jewish gravestone. A Muslim gravestone, with the crescent moon and star, was nearly impossible to find, however. After a little internet research onsite, it turns out that there’s less than 10 Muslim gravestones in all of Arlington and the majority of them are in the newer section of the cemetery, where the most recent dead are buried. Muslim grave at Arlington Cemetery. So, we ended up walking to this section (Section 60) and sure enough found more than one Muslim gravestone. 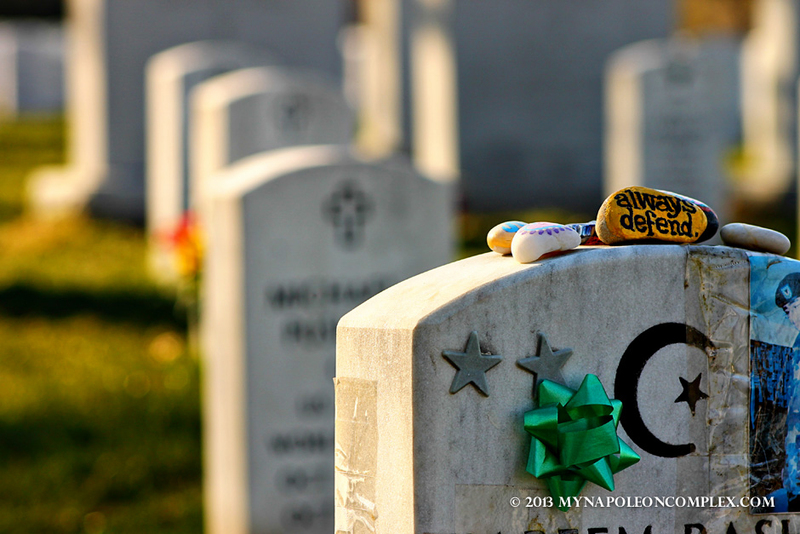 Jaime also had the opportunity to capture in one photograph the headstones of three soldiers of the three major religions. Jaime got his picture, but more significantly, we got to visit a part of Arlington Cemetery that is off the tourist path. 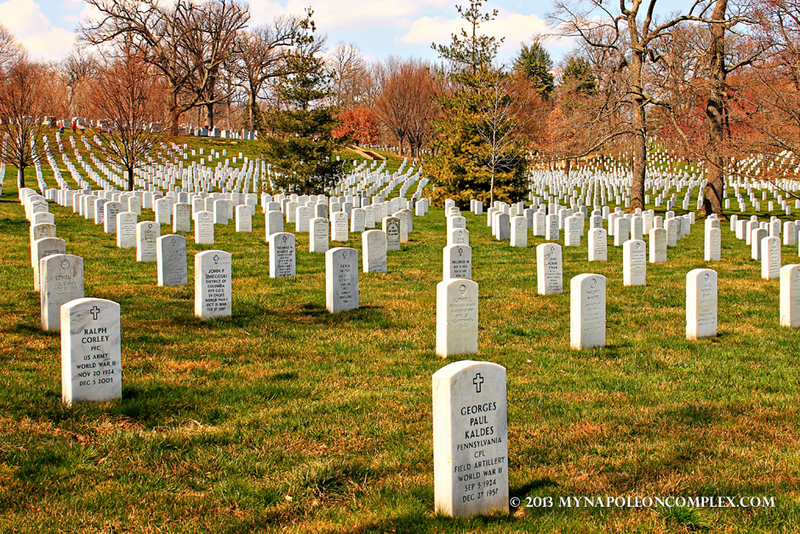 Section 60, the burial ground for military personnel killed in the Global War on Terror since 2001, is probably one of the most difficult parts of the cemetery to visit. 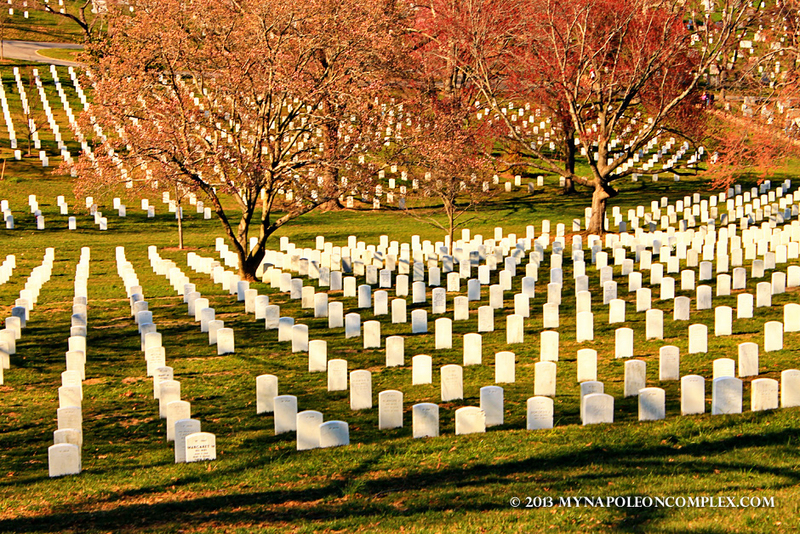 Because it is more recent, this section feels more like a cemetery than any other part of Arlington. The gravestones are newer, with flowers, balloons and pictures, and family members are everywhere visiting their dead. Some plots were even freshly buried with no grass or tombstone yet. 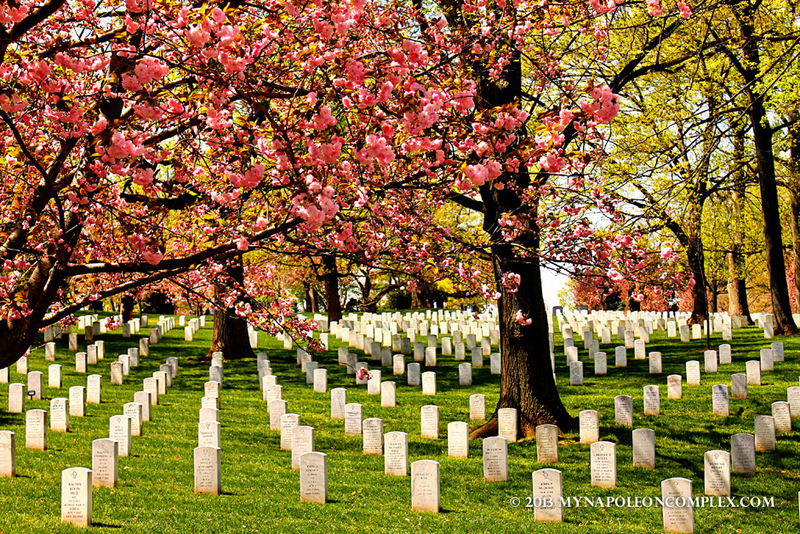 Even though it was terribly sad, it is a wake-up call as to what Arlington really is: a place to mourn and respect those that gave up their lives for our country. 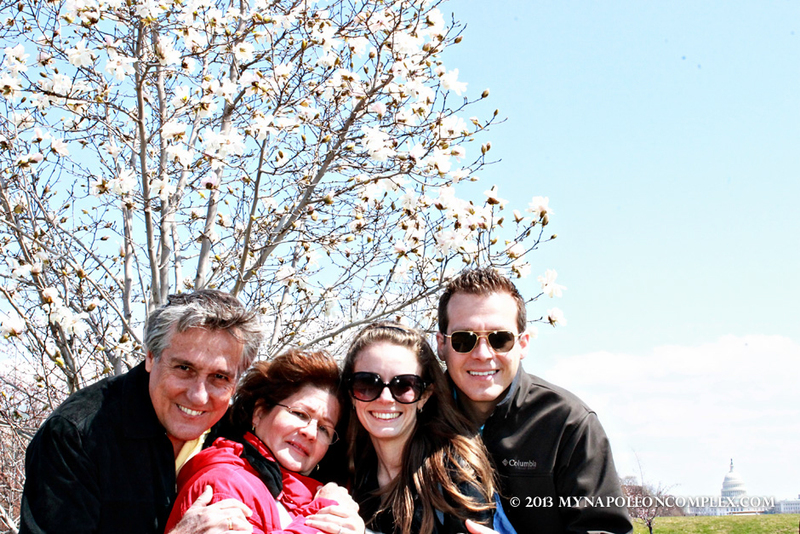 Two weeks later, my mother and my step-father came to visit us as well and they got to see the end of the Cherry Blossom season. 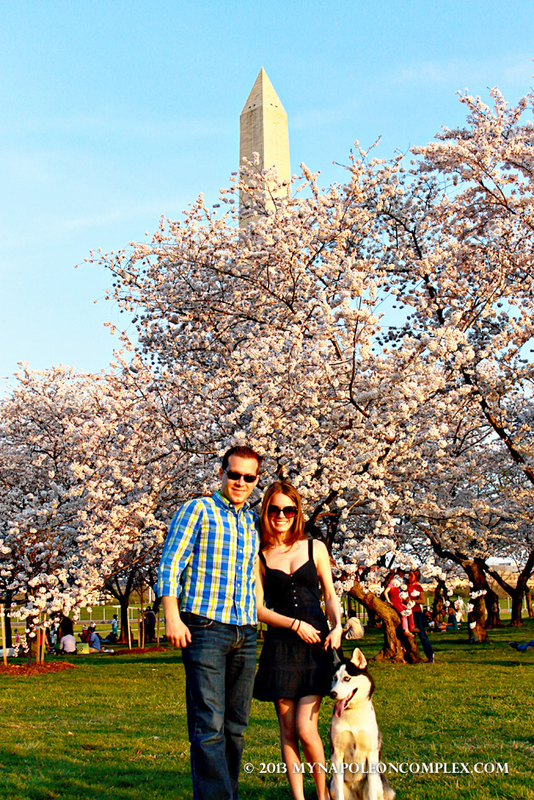 In between, Jaime and I finally got to see the beautiful cherry blossoms all around D.C. and snap some pictures. 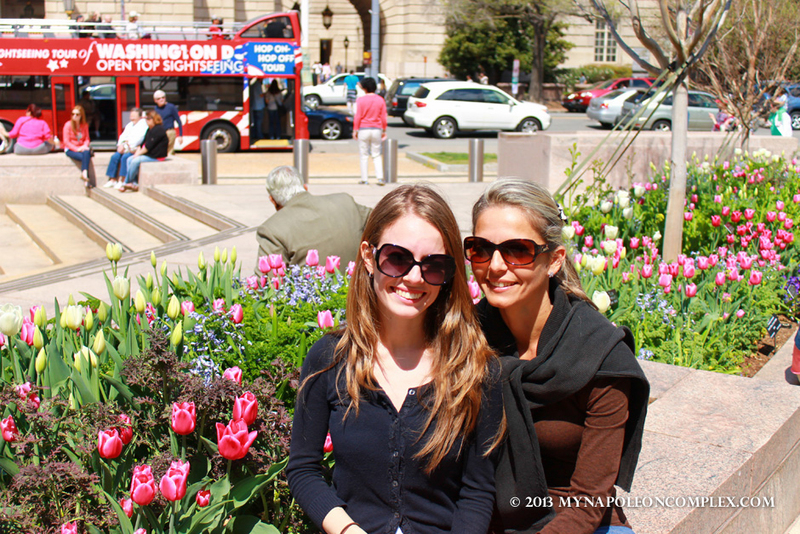 Although it’s a beautiful time of the year to visit the capital, the amount of visitors was overwhelming. One afternoon we tried taking a picture of Tidal Basin with our tripod and it proved to be almost impossible. If you want one of those photographs with absolutely no one in it, it’s probably best to go for the early sunrise, but we unfortunately didn’t get to do that. With my mom we spent another fun weekend of sightseeing most of the same things, hanging out with family and eating more chicharrones. 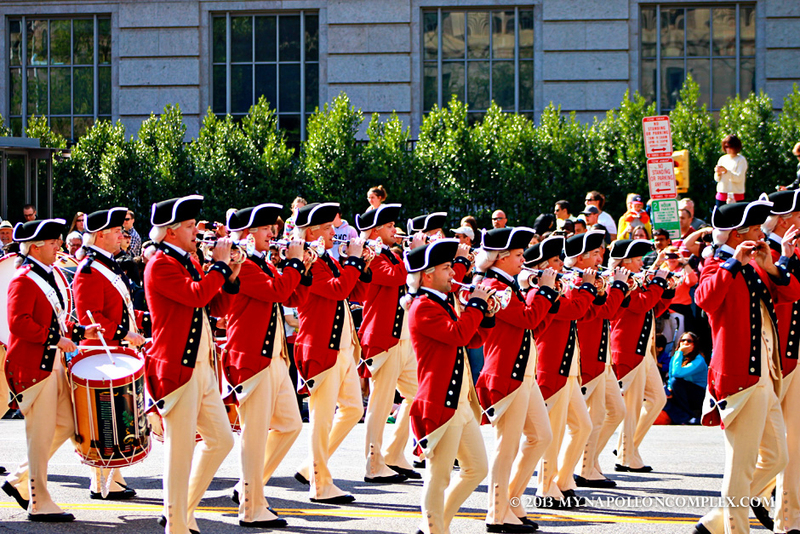 Because it was the last weekend of the official two week Cheery Blossom Festival, we got to catch a part of the Cherry Blossom parade, in which the marching bands of all the branches of the military performed. That was pretty cool and they all looked so cute in their little uniform! 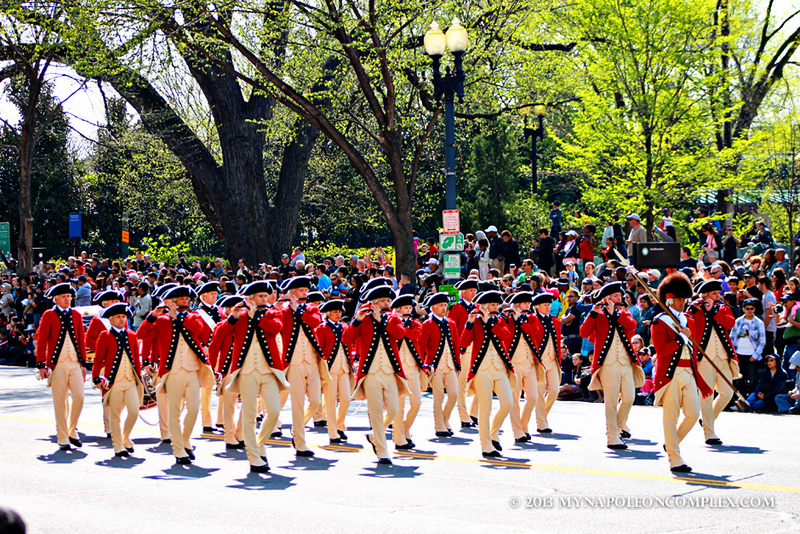 The U.S. Army Old Guard Fife & Drum Corps at the Cherry Blossom Festival Parade. 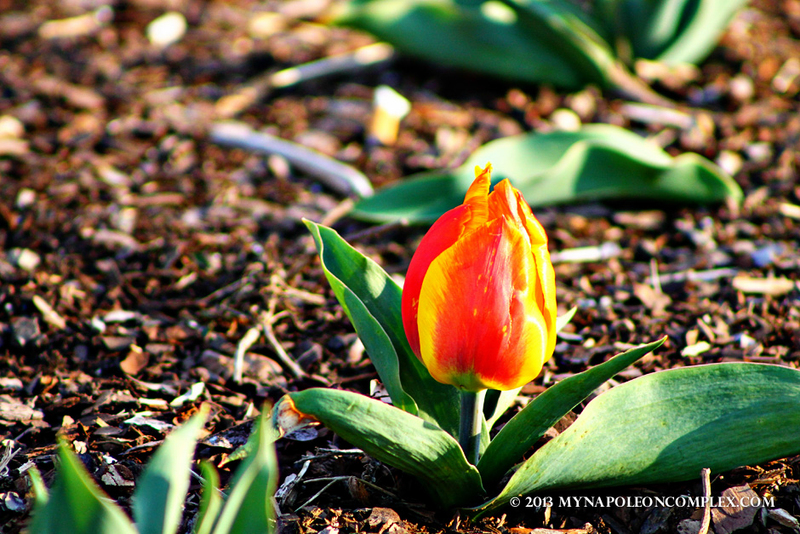 A tulip beginning to bloom in Arlington Cemetery.